Explore the most beautiful places in England, Wales and Scotland on your own but with the service and knowledge of Drive Europe! 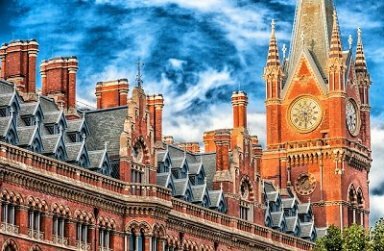 Travelling in England is like experiencing a living, illustrated history book, a country where 2.500 eventful years have left their mark. You can ponder the ancient mystery of Stonehenge, relive the days of Roman Britain as you walk through an excavated villa, and hear in words and place names the linguistic influence of Celtic, Norse, and Norman as well as Anglo-Saxon. You can stand in the inner courtyard of the Tower of London where Lady Jane Grey was beheaded, walk through Westminster Abbey on the stone grave markers of famous political and literary figures, or visit the homes where Samuel Johnson, Charles Dickens, and Emily Bronte lived and worked and where Shakespeare wooed Anne Hathaway. There are also innumerable museums, monuments, historic homes and estates, cathedrals and much, much more. England is a patchwork quilt of treasures, where you'll find an Elizabethan country estate in Devon, a half-timbered thatched cottage by the sea in Dorset, a regency manor in the Lake District, the great colleges in Cambridge and Oxford. And, of course, there's the exciting, cosmopolitan, colorful city of London. Europ's largest city is like a great wheel, with Picadilly Circus at the hub and dozens of communities branching out from it. Since London is such a conglomeration of sections - each having its own life, hotels, restaurants, and pubs - the first-time visitor may be intimidated until they get the hang of it. You'll probably spend most of your time int the West End, where many attractions are located, except for the historic part of London known as The City, which includes the Tower of London. Wales is a small country of great beauty. Few parts of the World can contain as much varied scenery in such a restricted area. North Wales has the nation's highest peaks, in the Snowdon area, but there are dramatic mountain ranges in central and southern Wales, too. The Brecon Beacons, which are a dividing line between the south and the rural midlands, form one of the Welsh National Parks, the others being Snowdonia and the o0ld county of Pembrokeshire. Gere in the narrow strip of land around the coastline is the Pembroke Coastal National park, which winds its way round inlets and coves, cliffs and beaches, and is marked by a long-distance footpath. Ffestiniog, Bala or Llanberis. 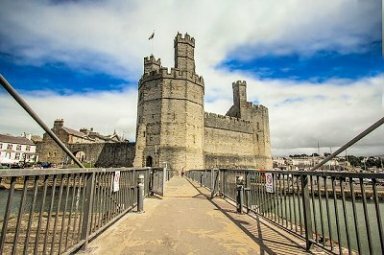 The Welsh coastline has several popular resorts with sandy beaches, but for quieter attractions venture inland, where the wild landscape is sparsely populated. Wales is a walkers' paradise, and wherever you are you will find walks of all distances to suit all tastes. Cross the border from England to Scotland, and you will find that the landscape, architecture and historical emphasis all change. This is part of the United Kingdom which retains its own educational and legal systems, banknotes and established church. 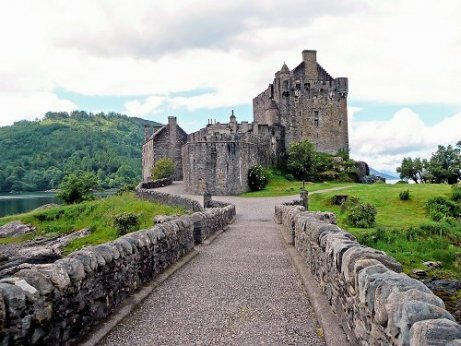 Scotland joined the Union in 1707, but many of its castles and historic houses, heroes and battlefields are from the time when England was "the auld enemy". Football and rugby internationals retain something of that ancestral rivalry. coast, revenue duties on brandy, wine, silk and other goods were so resented that generations of Solway men made their living by smuggling. This was no casual trade. Several smuggling companies were proper businesses, with shareholders and accurate, if secret, books of accounts. Further north, in the Highland and Grampian glens, it was whiskey taxes that were bitterly disliked. Pure mountain water, often flavored by the peaty ground through which it flowed, was the basis of hundreds of illicit whiskey stills. Some respectable modern distilleries happily admit to a raffish past. An unprecedented treasure trove of delightful villages from the land of mist and mystery, of hidden glens and peaceful lochs. 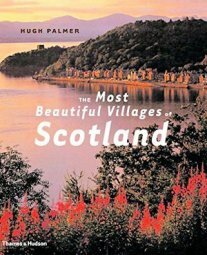 In the dramatic landscapes of Scotland, beloved of Romantic poets and composers, lies a wealth of delightful villages, here revealed in Hugh Palmer's evocative photographs and commentaries. Hope you are doing well. We had a very good trip to UK - the weather was not particularly friendly, but i guess one should never harbor hopes of consistently good weather when travelling to UK. I want to thank you for helping with excellent choice of locations and hotels. Looking forward to using your services for future trips. We are home. We had a wonderful time. We really appreciate the great job you did planning our trip. If I can provide you with any feedback don't hesitate to ask.